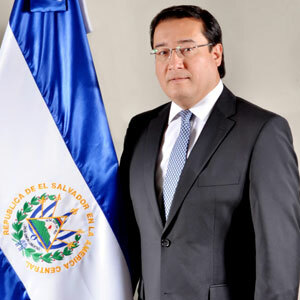 To the unanimous approval and the warmest applause of the Council of Ministers, The Honourable Luis Antonio Martinez Gonzalez, Attorney General was elected to perform the duties of the Deputy Chair of the Caribbean Financial Action Task Force (CFATF) on behalf of El Salvador, for the period November 2013- November 2014. “As Attorney General of the Republic of El Salvador, I feel very honored by this important appointment to such a respectable body as the CFATF” noted The Honourable Luis Antonio Martinez Gonzalez”. El Salvador has always held the CFATF in high esteem. By letter to the CFATF Plenary dated January 13th 2003, Honourable Belisario Artiga Artiga, Attorney General, Republic of El Salvador, outlined his country’s interest in becoming a member of the CFATF, which was presented to the Panama City, Panama Plenary in March 2003, by the then Head of the Financial Intelligence Unit. At that stage El Salvador was already a member of EGMONT and presented to the CFATF Plenary a clear picture of a jurisdiction that was at an advanced stage of building a robust anti-money laundering framework consistent with international standards. At the Council of Minister Meeting in Antigua and Barbuda on October 23rd 2003, The Honourable Belisario Artiga Artiga signed the memorandum of Understanding and El Salvador was formally and warmly welcomed as the thirtieth member of the CFATF family of nations. One project that will immediately attract the attention and energies of Deputy Chair Martinez Gonzalez will be to explore with GAFISUD, the furthering of an idea advocated by Executive Director Wilson at the April 2013 Doha, Qatar meeting between EGMONT and the Secretariats of the FATF and FATF Style Regional Bodies, for the establishment of a Heads of Financial Intelligence Units (FIUs) Forum for the Americas. This proposed Forum for the Americas will be modelled on the successful CFATF Heads of FIUs Forum and which is being currently considered as a model for the establishment of a similar Heads of FIUs Forum with the FATF.